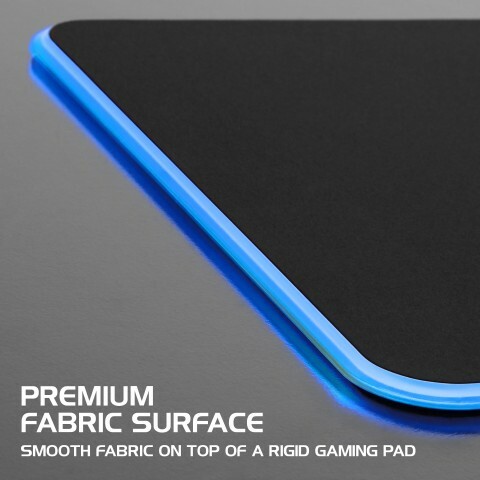 The ENHANCE Fabric LED gaming mouse pad features a smooth fabric surface on top of a rigid pad which offers a sleek effortless mousing experience while emitting a brilliant display of ambient lighting. 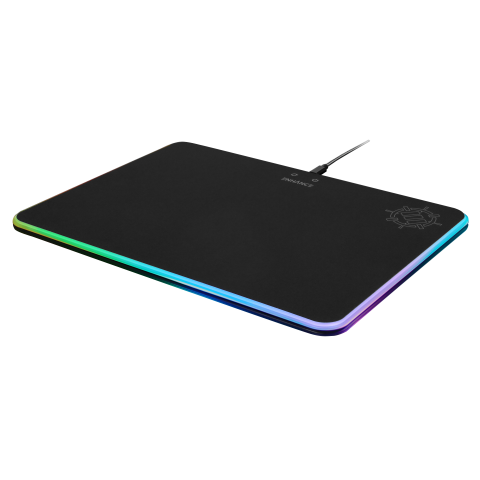 The mouse pad offers 7 solid LED colors with 3 brightness settings and 2 Multi-Color lighting effects. Light up your desktop and experience a next level gaming environment with ENHANCE Gaming. 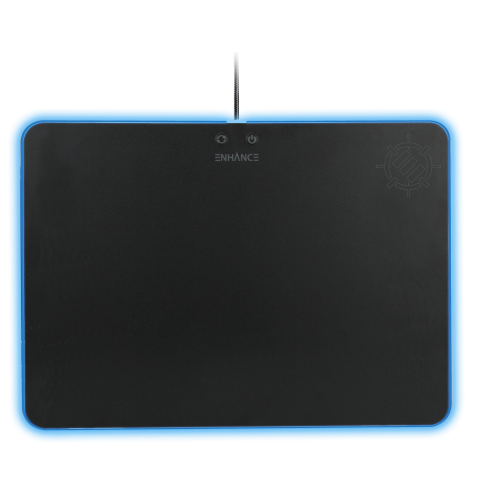 The back of the mouse pad is entirely covered with a textured black rubber to adhere to any desk surface type including wood, metal, laminate, and glass. 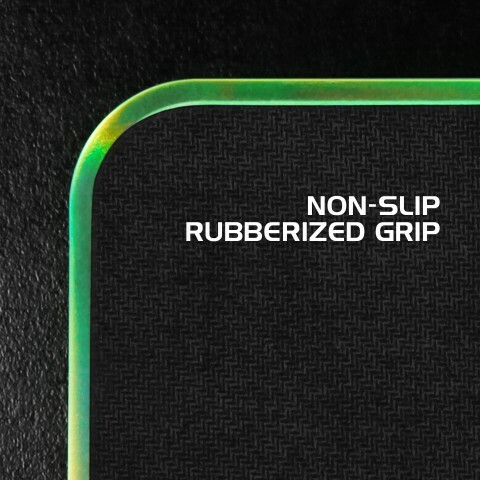 The textured non-slip grip provides a stable mousing surface that ensures your hand stays steady when making delicate movements or lining up accurate shots in game. 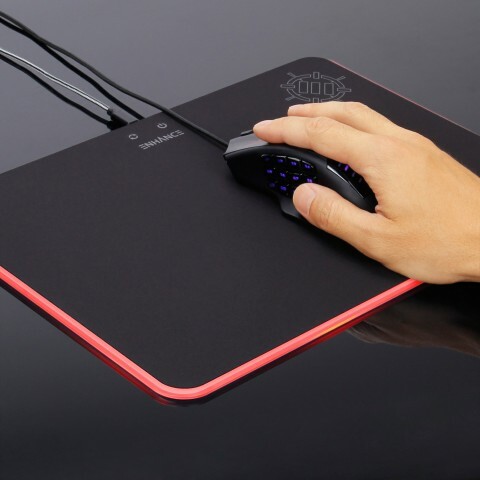 The edges of the mouse pad have a transparent frosted gradient that spreads the LED lighting evenly across the edges for a uniform and pleasant light effect. 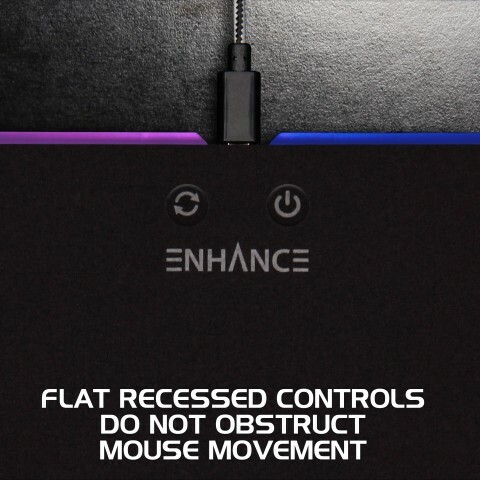 Control the lighting settings through a set of recessed buttons that won't get in the way of your hand or mouse during use. 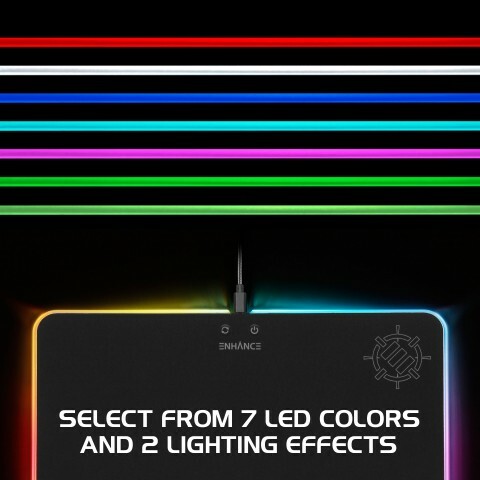 Select from Red, Blue, Green, White, Purple, Cyan, or Light Green each with 3 different available brightness levels, or choose from a Fading effect that cycles through all the colors or a Rainbow mode that produces a combination of colors. 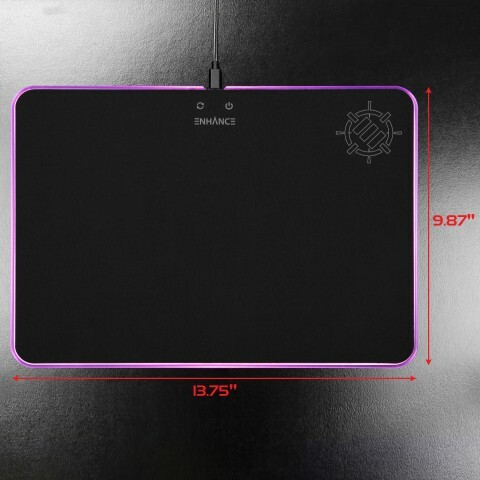 The large sized mouse pad has over 136 square inches of surface area for unrestricted gaming. 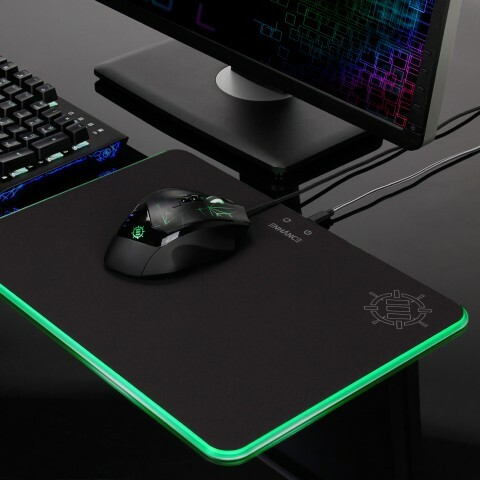 A giant size compared to other LED mouse pads not only provides a more illuminated display, but ensure that you have the freedom to move while playing all your favorite games.